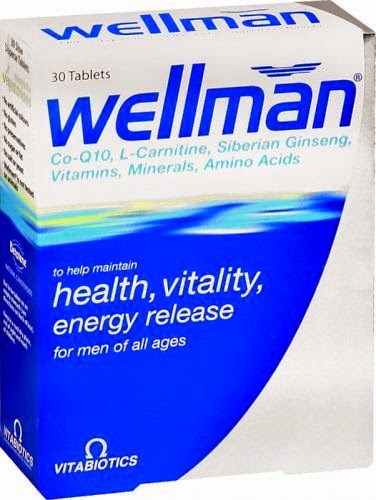 Wellman® is different from a regular multivitamin as its formula has been optimised for men's health on the basis of international research evidence, so some nutrients are provided at levels above the Nutrient Reference Value. While Wellman® provides a core source of all the major vitamins and minerals, it also provides more than 100% of certain nutrients, plus Siberian ginseng, Co-enzyme Q10 and amino acids. A healthy immune system is important for good health. Wellman® includes vitamins A, C, D, B6 and B12 with folic acid and copper which contribute to the normal function of the immune system. To be on top of your game you can't afford to be tired. 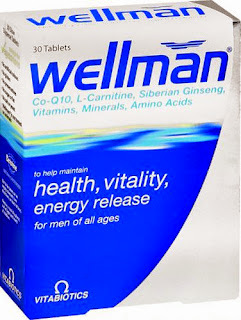 Wellman® provides pantothenic acid and magnesium which contribute to the reduction of tiredness and fatigue. Free radicals are generated in greater numbers during exercise. Vitamins B2, C and E with minerals copper, selenium and zinc contribute to the protection of cells from oxidative stress. Vitamin C contributes to maintain the normal function of the immune system during and after intense physical exercise. Wellman® provides zinc which contributes to normal reproduction and the maintenance of normal testosterone levels in the blood. The formula also includes selenium which contributes to normal spermatogenesis. Since men lose an estimated 5 mg of zinc every time they ejaculate, a good intake of zinc is essential. Folate, iron, magnesium and vitamin B12 have a role in cell division, plus vitamin A which has a role in the process of cell specialisation.